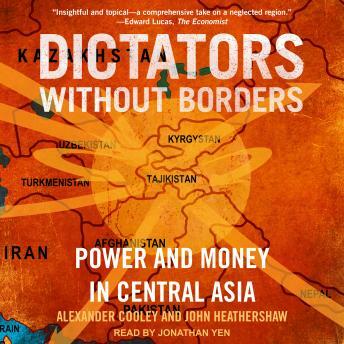 Based on years of research and involvement in the region, Alexander Cooley and John Heathershaw reveal how business networks, elite bank accounts, overseas courts, third-party brokers, and Western lawyers connect Central Asia's supposedly isolated leaders with global power centers. The authors also uncover widespread Western participation in money laundering, bribery, foreign lobbying by autocratic governments, and the exploiting of legal loopholes within Central Asia. Riveting and important, this book exposes the global connections of a troubled region that must no longer be ignored.